Your wedding menu is one of the most important elements in your reception, it´s part of the celebration and something that your guests will not forget. They will remember the different textures and tastes of each dish and of course the quality of each one. This is something that The Westin Palace has taken into consideration by hiring one of the best chefs in the world to elaborate unique and tasteful wedding dishes, so you can enjoy a culinary experience just as special as your big day. The Westin Palace is one of the most exclusive places for your wedding in Madrid. Photo: The Westin Palace. 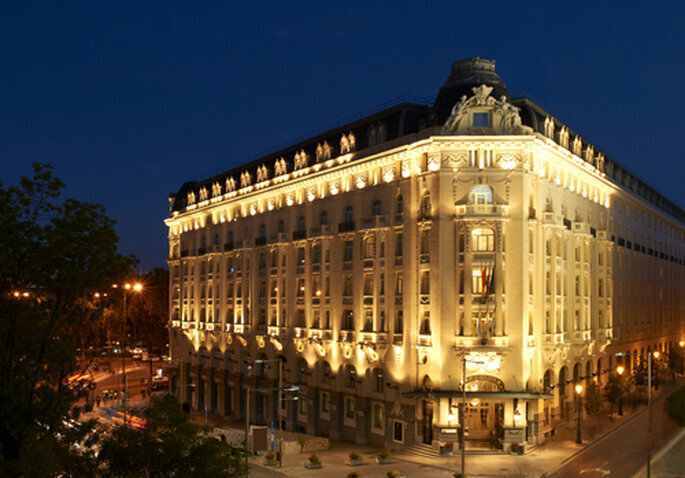 Situated right in the heart of Madrid, The Westin Palace is one of the best places to celebrate your wedding. Not only will you be stunned by their beautiful facilities and their attention to detail but you will also have the possibility of enjoying the exquisite menu of their gastronomic consultant, Diego Guerrero. 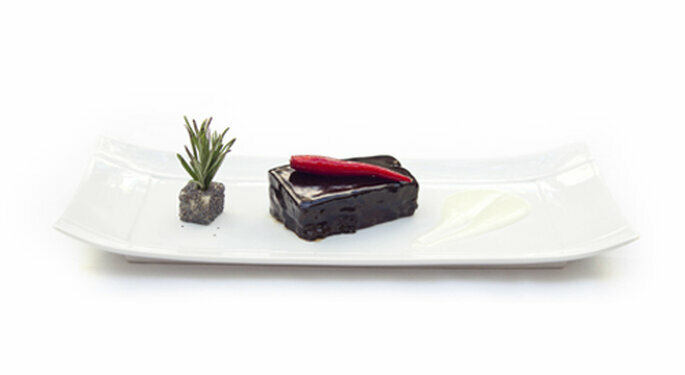 Chef Diego Guerrero’s menu selection will have your guests talking long after the wedding is over. Photo: The Westin Palace. Recently awarded 2 Michelin stars, Diego Guerrero carries great experience creating the most sophisticated and delicious dishes. He was honor roll in the Zabálburu School in Bilbao, worked in Berasategui y Manolo de Osa and Goizeco Kabi of Madrid and turned El Refor de Amurrio into one of the top references when it comes to Basque kitchen. 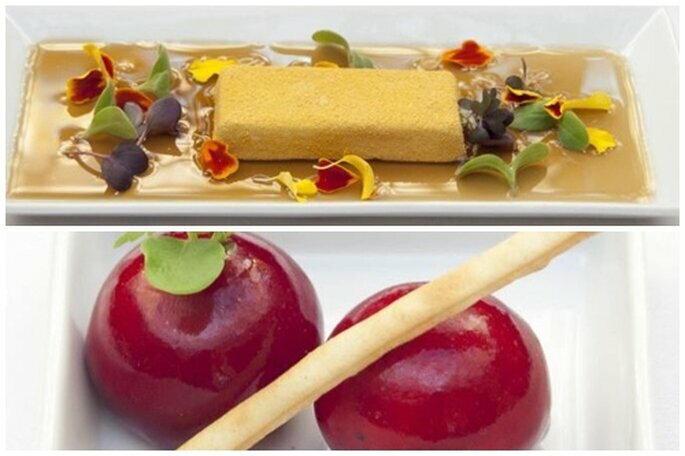 Diego Guerrero’s restaurant has garnered a 2 star Michelin rating. Photo: The Westin Palace. Diego Guerrero will surely turn your wedding menu into an unforgettable experience that will not go unnoticed by your guests. With a culinary style that he describes as dynamic and in constant evolution, Diego Guerrero´s menus can be tailored to perfection to meet the preferences of the guests and the couple; always using quality ingredients in each dish. 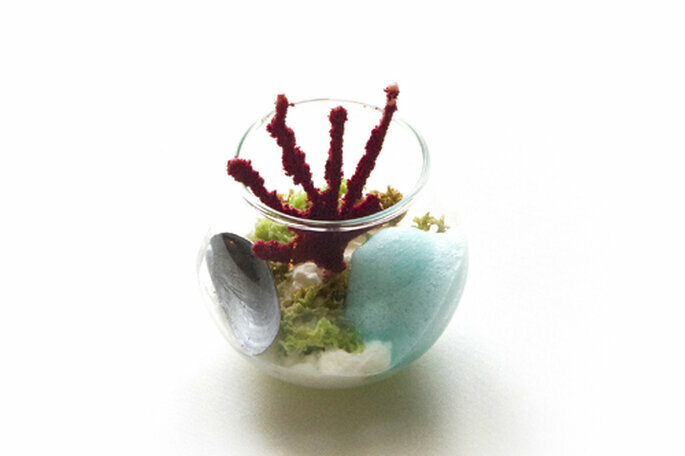 Diego Torres creation in the kitchen are constantly changing and evolving. Photo: The Westin Palace. Gold bullion and foie gras, scallop dumplings with black garlic, prawns with marine couscous and cauliflower mushroom toast and foie gras are some of the starters that you can choose to have in your wedding menu. If you enjoy soup, you cannot miss the delicious cabbage soup with smoked wild mushrooms or the cherry gazpacho soup. Each creation of Chef Diego Guerrero is prepared with highest quality ingredients and preparared exquisitely.Photo: The Westin Palace. As for meat or fish, nothing is better than some of Guerrero´s signature dishes that include baked sea bass bathed in its own juice or the brownie veal accompanied by mushrooms with rosemary quince banana and cassava. For dessert you can enjoy a variety of bronze and red fruits or his original creation “egg in a nest” that will awake all your senses. 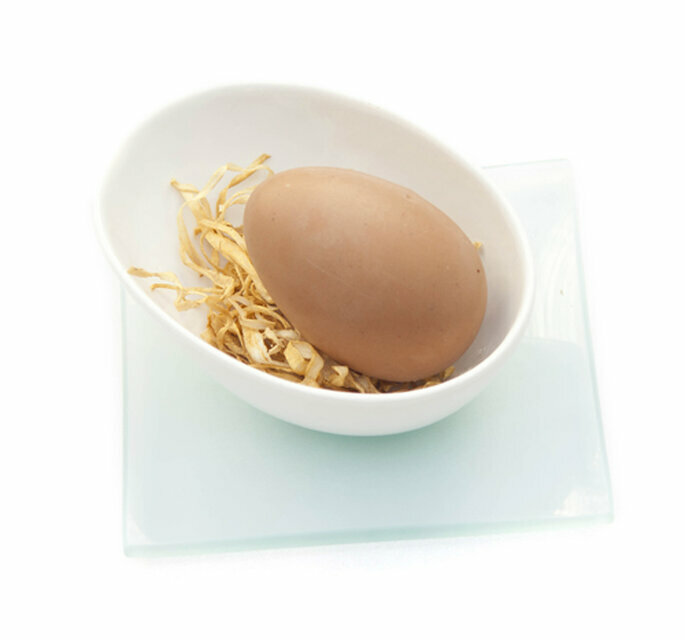 The egg in a nest is a signature dessert dish from Chef Diego Guerrero. Photo: The Westin Palace. Don´t think about it any longer and give your wedding menu the importance it deserves, placing it in the hands of Diego Guerrero. We assure you that all your guests will remember your wedding menu as the best gastronomical experience of their lives; making your wedding at The Westin Palace a magical experience that you will remember and cherish forever. For more details and information , please go directly to The Westin Palace´s profile on our directory. Iria Berna. Professional expert, weddings and events, The Westin Palace.